Join us at the multicultural salon for Mothers and Childeren ! 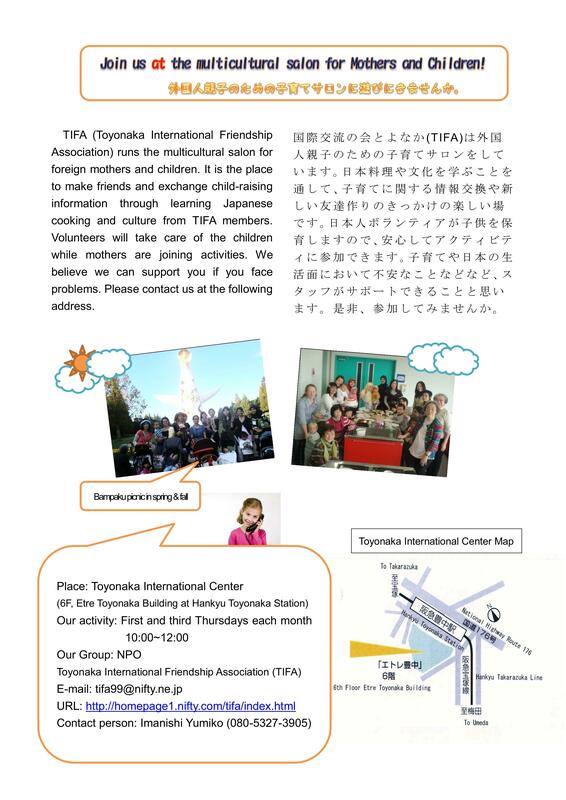 TIFA(Toyonaka International Friendship Association) runs the multicultural salon for foreign mothers and children. Volunteers will take care of the children in the same room while mothers are joining activities. We believe we can support you if you face problems. Basically free. Occasionally fee for materials or food is necessary.